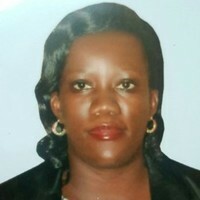 Christine Nalubowa (Uganda) is an IT Professional Development at the National Information Technology Authority Uganda. She is implementing a range of activities to mainstream the needs of People living with Disabilities into regulatory frameworks and monitoring the policy implementation through a dedicated online tool. The United Nations Partnership on the Rights of Persons with Disabilities funds the activities in cooperation with UNESCO and UNICEF.